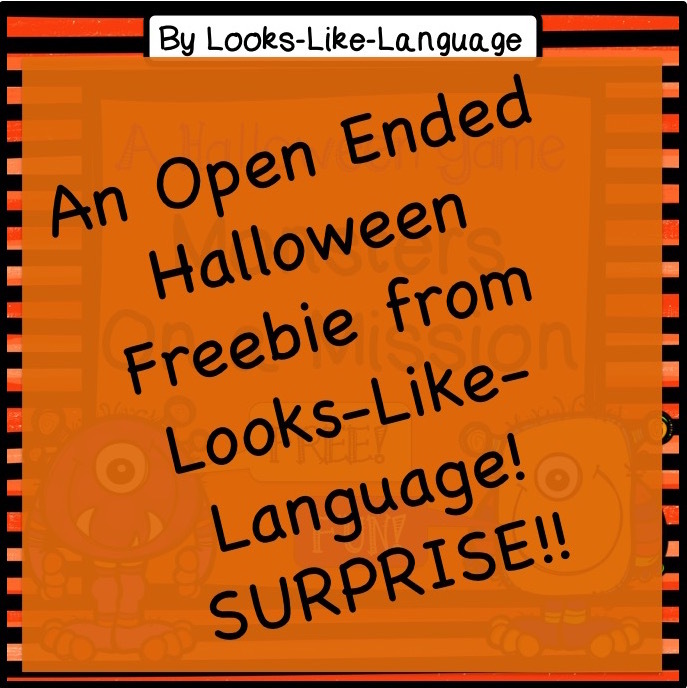 Classroom Freebies Too: A Halloween Surprise from Looks Like Language! A Halloween Surprise from Looks Like Language! More Halloween fun! Can you believe it? I was so ahead of myself this year to help you with your planning, but I couldn't let you down and not make another fun Halloween set with 2 weeks to go! Should I tell you what it is? No, it is Halloween, so I think I will let it be a surprise! I promise- it is cute and open ended, so most everyone can find a use for it! Get the free download at my blog.